Home / Book Review / A Dialogue with my Friend the Resistance author! The literature of any group or people that are aware of their identity and fighting for their freedom against an aggressive other, and for their collective deliverance. The key words are freedom, collective and awareness. People that fight for their freedom are people who are aware of themselves as a people and so willing to sacrifice for each other, instead of thinking about their individual well-being regardless of others in their group or community. This is Al-Sayyid Nejm’s definition, an author and literary critic who has done the most in Egypt to ensure that resistance literature gets the recognition it richly deserves. He has written both in the genre itself and written about resistance literature. 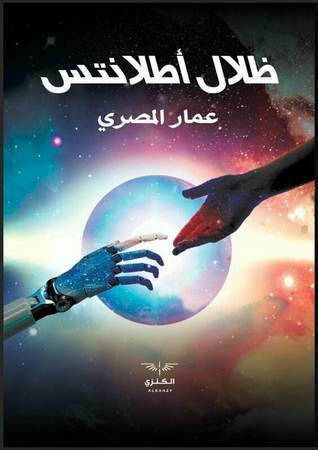 In addition, he is a writer of children’s stories and of science fiction, and was overjoyed to learn that we at the Egyptian Society for Science Fiction (ESSF) were planning to dedicate our forthcoming Shams Al-Ghad (Sun of Tomorrow) anthology (volume 7) to resistance literature in the sci-fi genre. Something that has never been done before, according to Mr Nejm himself. Speaking to Mr Muhammad Naguib Matter, an engineer and SF writer, he explains that resistance literature is adab al-mumana (أدب الممانعة), the literature of saying no, the literature of protest and of confronting what ails us. It is a tool, not only for asserting ourselves, but for investigating ourselves and discovering the true nature of the barriers that are holding us back as a people. Egypt and the Arabs are like a piece of precious metal that is shiny on the inside but covered in a layer of corrosion that obscures our true worthiness, both to ourselves and to others. As writers we need to know what is holding back our nations and what is responsible for our degradation as a people, whether morally and socially, or scientifically and technologically. Muhammad Naguib Matter adds that resistance literature shouldn’t just be seen as a separate genre, about battle and guerilla movements and warfare, but as a stance that cuts across all genres. Resistance or muqawama is about asserting our identity, distinctly as Arabs and Muslims, against cultural imperialism. We are no longer being true to ourselves as Arabs and Muslims in our writings, borrowing genres and motifs and themes from other cultures. You can see this in horror literature in Egypt, with the near exclusive focus on brain-eating zombies and vampires, things not contained in our own folk traditions but grafted onto our literature from horror movies and stories from the West. We want to learn from others, the literature and arts of others, but be true to our roots at the same time. Our literature has to be rooted in our culture and religion and literary traditions. A sentence in Ahmed Salah Al-Mahdi’s The Black Winter (2018) encapsulates the dilemmas we are in now as Arabs, Muhammad Naguib Matter explains. There is a scene where the young hero says that he feels like a little boy who is lost, desperately looking for his mother, in a Mall! Resistance literature is the way to ameliorate this problem. Speaking to Ahmed Al-Mahdi himself, he explained that resistance literature is a ‘mirror’ to a nation. Every nation needs such a mirror, not just defeated or occupied nations. Even the victorious need to be reminded, from time to time, about why they are here as a people. They need to know who they are, what they stand for – their values and identity. Finland, for instance, suffered from foreign occupation for centuries, prompting Finnish linguist Elias Lönnrot to compile the myths and folk songs of his people in the Kalevala, a 19th-century work of epic poetry. The aim was to awaken the nationalist spirit of the Finns, who began to lose their identity after several successive occupations by countries like Sweden and Russia. The Kalevala was credited with inspiring the national awakening that eventually led to Finland’s independence from Russia in 1917. Resistance literature is not just military or spy novels, but stories that express the true spirit and the identity of the nation which is what motivates the nation to fight back and resist. Ahmed Al-Mahdi was also adamant that we as Arabs need to learn from world literature, classics that have been written in this genre. He likened world literature to a building, with every nation adding an extra building block to it. We have to learn from other nations experiences in this genre. Reading resistance literature from Russia and France, during the Second World War, is beneficial both to Arabic writers and to the reader as well, even just at the level of writing technique. When asked about Arab resistance literature, Mr Naguib said there are notable contributions in this genre, but it is dispersed all over the place. It has not been grouped together, classified and canonized and studied. There have to be literary critics specialized in this field, people who can search through literary and academic publications and draw attention to the importance of the genre and highlight distinguished names who have made worthy contributions to Arab resistance literature. Without this, you will be consigned to nothing more than brief glimpses of our own writing abilities in this critical field and cannot build up momentum for change, whether in literature or in our daily lives. There are political reasons for this neglect of resistance literature, such as the current state of weakness and disunity in the Arab world and the Middle East, and with that cultural Westernisation and Europeanisation. People think that the only route to freedom is through the West, of assimilating ourselves entirely into their culture and forgetting who we are. That’s why there is not enough attention being paid to resistance literature. Nonetheless Mr Naguib was optimistic. He said that Palestinian authors were making a significance contribution to the genre. They have always been writing resistance literature but in the past, the rest of the Arab world only every heard of the big names in Palestinian literature. Now new writers were entering the fray and there was a literary movement developing in this genre. Ahmed Al-Mahdi is also fortunate to be one of the first SF authors in Egypt to write a resistance novel in the 21st century. His novel The Black Winter itself is a prequel to Malaaz: The City of Resurrection (2017), which has been classified as resistance literature. 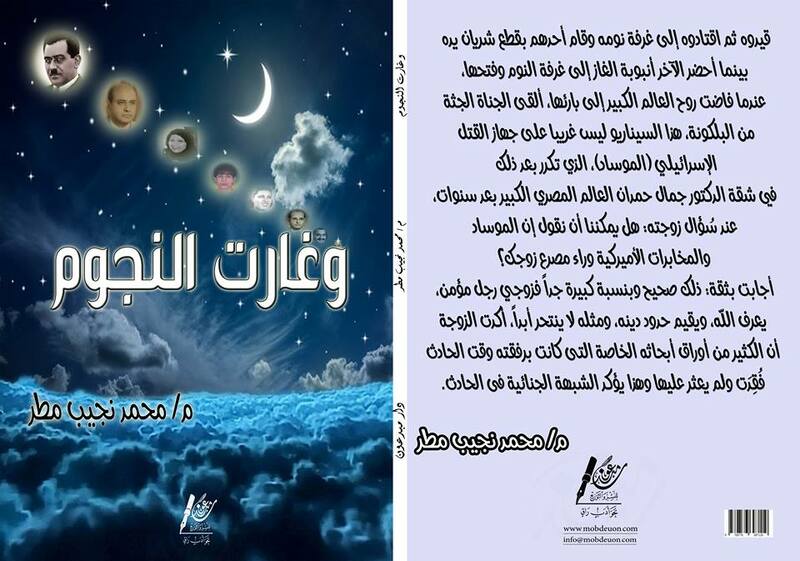 Noted literary critic Khaled Gouda Ahmed insisted on this during a cultural salon of the ESSF (26 August 2017) dedicated to his novel. 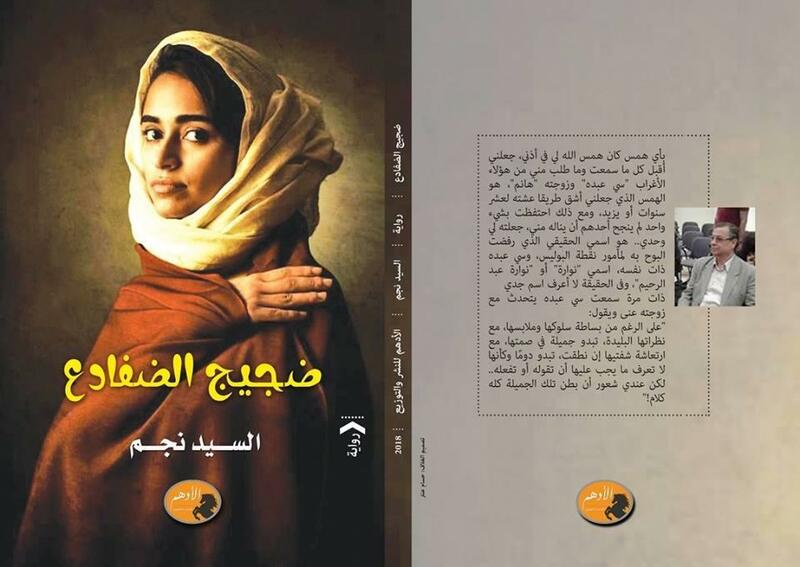 Speaking to Ahmed Al-Mahdi himself, he also insists that the novel is in the resistance genre. In the story you have the future city of Malaaz in an Egypt after a nuclear apocalypse, located in the north. In the south there is a rival city, an entire kingdom that wants to conquer the north, targeting Malaaz. The hero of the story, Qasim, a young inventor in Malaaz dedicates himself to building nuclear powered technologies from the past to be able to beat the new threat, and the southern kingdom itself has revived the technologies of the past. Preparing for war doesn’t just mean bravery and sacrifice but also unity and technology and mobilization. There is also symbolism in the story dealing with the Nile, since the people living around it, peasants, are portrayed as passive. This is a well-known symbol used in Egyptian literature. Nonetheless, during periods of danger and existential threat, Egyptians become proactive and ingenious in the ways they fight back, as was the case during the War of Attrition and the October War. 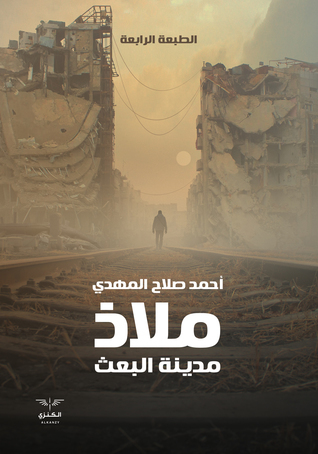 Malaaz, explains Ahmed al-Mahdi, is a portrait of a society in times of peace and times of war. It may be a picture of a fictional society but it bears a strong relationship with the real society we are living. 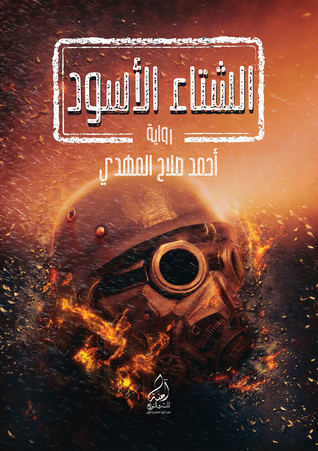 Ammar Al-Masry has also contributed to the field through his novel Shadows of Atlantis (2017), an alien invasion epic where Egypt is one of the first countries hit but also one of the country’s most adamant to fight back. It is no coincidence that the legendary city of Atlantis is mentioned, pitting human history against a foreign invasion that wants to wipe away all traces of our existence. Ammar own view on resistance literature is that it is an integral part of the nervous system of nations, its’ very spine, what holds up disempowered nations in the world. The literature of resistance is the appropriate tool to describe the situation of these peoples, for their message to reach the world and to future generations so that they know how their ancestors suffered from injustice and tyranny. It describes the suffering of man and his desire to resist far better than any political science textbook or book of statics can that merely counts the number of evils done by authoritarian regimes. Such texts do not capture the human side of the suffering that the writer seeks to describe, that we can feel through the characters in his literary work. Resistance literature also puts forward solutions, trying to put in place appropriate plans to get rid of the occupying foreign tyrant, applying this through the novel until the author (and reader) finds the best way to reach the sun of freedom. Ammar adds that the literature of resistance has spread in the modern era thanks to the sheer number of authoritarian regimes, beginning from the West and then spreading like a wildfire all over the world. Stalin’s authoritarian communist regime and Hitler, Leopold II, Franco (in Spain), Videla (in Argentina) and others who exterminated millions of people for their national, international and colonial interests. Of the most famous works that speak of resistance or describe dictatorships, there is 1984, Fahrenheit 451, and even Star Wars. There many other cinematic works such as Bride Mask (Korean, about the Japanese WWII occupation), Code Geass (Japanese animated series), Altered Carbon (United States). Mr Naguib commented further on Malaaz, explaining that resistance literature is literature that fights back against the factors working for the extinction of a society, any society. Again, resistance literature must be defined in a more comprehensive and holistic way, it is literature that resist the circumstances that lead to your downfall and non-existence as a nation. Finally, Mr Naguib added that feminist literature and women’s sci-fi, counts as resistance literature as well. Women’s literature is about fighting back against oppression and discrimination and masculinist society and culture that doesn’t give any room for women except as child-bearers. I can add two famous novels in this genre, The Left Hand of Darkness (1969) by the dearly departed Ursula Le Guin, and Native Tongue (1984) by Suzette Haden Elgin. Ursula Le Guin’s novel is set on an alien planet where the aliens are male and female at the same time. The story is told from the perspective of an emissary from Earth, a man, who has a terrible time accepting this reality. He’s used to the idea of male and female being distinct and in the process learns that human being’s aren’t that different from the aliens. Men have a feminine side and women have a masculine side, and so virtues like bravery and mercy are portioned out between the two sexes. The story is also in the resistance genre because the alien world is divided into two superpowers, and one of them is planning to conquer the other. The author sees this desire for conquest as very masculine and it is up to the human hero to warn the other country and to try and get Earth on the side of the state that is defending its independence, and its mixed gender identity where male and female are at peace with each other. Native Tongue is a dystopian novel set in the future where women have been kicked out of the job market and forced back into the home. The only women who are prominent are female linguists. Earth is in contact with alien races and linguists are very prominent as translators and intermediaries. Female linguists organise in secret to use language as a means of fighting back, shifting language from the focus on public affairs – men’s work – to private affairs, the family life that women dominate. One can disagree with this theorizing and see it as a Western way of looking at things, since it doesn’t allow for religion as a means of governing the relationship between men and women in a fair and equitable manner. A good example of a Muslim perspective on gender equality and resistance is Muhammad Ahmed Al-Naghi’s “Eugenics”, where people are genetically designed to have a limited life span and childbirth and childrearing are done outside the family, where races are segregated and where men are kept in limited numbers to prevent wars happening again. A group of women rebel and the heroine gives birth to a boy to reset the natural balance once again! The point is that Native Tongue, and The Left Hand of Darkness, prove that resistance literature is more than just talking about war and occupation and protest marches. The tools at your disposal are endless, even words and grammatical rules, and what is at stake – as Al-Sayyid Nejm explained – is not just political independence but your identity and values and sense of self and national pride and cultural distinctiveness. It also proves that women can contribute to this literature, even if they aren’t combatants themselves. Not to forget that many are in fact combatants and also engage in passive resistance in occupied Palestine, especially in protecting Al-Aqsa mosque and the Arab and Muslim identity of Al-Quds. If resistance movements, and resistance literature, were exclusively for men then they would be as oppressive as foreign occupations and needs to be resisted themselves! Special thanks to my dear friend Al-Sayyid Nejm, for his encouragement, wisdom and patience. As a writer and old fighter himself.